The 2018 Minnesota Christian Ashram will be held on July 27th – July 29th, 2018. Check-in is from 4:30 pm-6:15 pm on Friday, and the Ashram begins promptly at 6:30 pm. Dinner is on your own on Friday. The Ashram will conclude on Sunday at 6 pm. We are excited to be returning for the second time to Bethel University, which is located in the St. Paul area. It has a quiet, serene atmosphere, surrounded by beautiful trees on the shore of Lake Valentine. 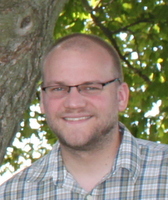 Evangelist – Tom Albin: Rev. 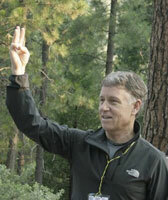 Tom Albin serves as Executive Director for the United Christian Ashrams. In addition to these responsibilities, Tom also serves as the Dean of the Upper Room Ministries and Ecumenical Relations in Nashville, Tennessee. As of January 1, 2013, The Upper Room entered into an agreement with the United Christian Ashrams to provide executive leadership, marketing, and communication resources. Since 1999, Tom has worked directly with the General Secretary of the United Christian Ashrams as a part of his role at the United Methodist Board of Discipleship. Within the past two years he has participated in the Alabama, Minnesota, and North Louisiana Ashrams. Now the door has opened for us to work together to strengthen current Ashrams and develop new ways for people to experience the life transforming power of God. Bible Teacher – Tom Nisbett: Tom Nisbett is the founder and president of The Nisbett Group (TNG) and a co-founder of Orchard Ministries. TNG provides organizational consulting, strategic planning and board development services. Orchard Ministries conducts pastor training, discipleship training and evangelism worldwide. 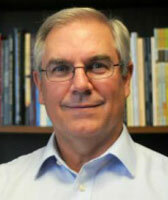 Tom has served as a vice-president, business school dean, and professor of economics in faith-based universities. He is also an approved evangelist with the Christian Ashram and an ordained evangelist with the Evangelical Church Aliance (ECA). As he enjoys hiking, mountaineering and climbing Tom will be looking at Abraham, Moses and Jesus’ encounters on the mountains of Israel. Music – Tom Anderson: Tom Anderson grew up in South Minneapolis where he met his wife Beckie. After going to college in Chicago (North Park University), he studied theology and biblical studies at Bethel Seminary and London School of Theology and has taught courses on the Bible at North Central University and Crown College. Tom plays several instruments and has been blessed to lead music at the Ashram in past years. Tom, Beckie and their three kids, Marcus, Miles and Malia live in Minneapolis where they attend and serve at Iglesia Nueva Salem/New Salem Church, a Spanish and English bi-lingual congregation seeking Christ centered transformation of individuals, families and the community. 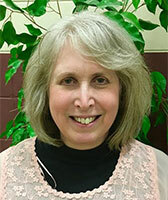 Director – Judy Madsen: Judy Madsen, Director of the Minnesota Christian Ashram, is a retired elementary teacher from the Minneapolis Public Schools and became director in August, 2005. She and her husband John, their two sons, her parents, her siblings and their families have bee part of the Minnesota Christian Ashram since it began in 1985. Because the Ashram has been such a source of spiritual growth and refreshment for the entire family, Judy is grateful for that rich heritage and wants to share the experience with others. 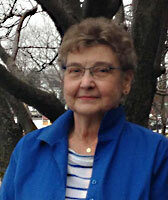 Children’s Ministry – Karen Martin, assisted by Kathy Johnson: Karen has been with us for over 20 years. Her Children’s Ministry is an exciting feature in the Minnesota Christian Ashram. She has had 30 years of experience working with all ages of children in the area of music, drama and creative projects. Karen and her husband, Ben, have three children, Rachel, Elizabeth and David. She will be assisted by Kathy Johnson who has also worked with the children for many years. To register head on over to our registration page or call Nancy Anderson at (612) 825-7851. You can also mail your registration information to our registrar Nancy. Please be sure to send in all of the same information asked for on the registration page. Registration fees and room and board fees can be found on the registration page as well. As a reminder, any deposit sent will be deducted from your total cost. If you would like to make a donation to the Minnesota Christian Ashram you can make a donation online via PayPal.